I too am saddened by the state of the pet food industry. It is actually getting pretty bad in the Human food industry too. I think people will need to go back to basics and start to source good whole foods and prepare them from scratch for both themselves and their pets. As a sad addendum to this…. 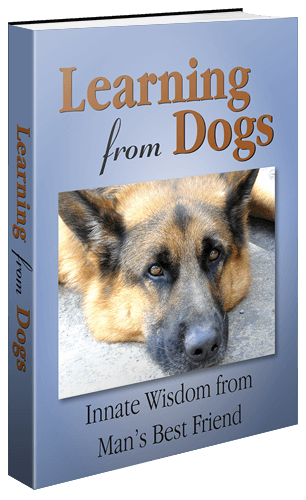 Many of you have read ‘Spot & Me’ that I guest posted on training a little dog. I have sad news to report.Poor little rescued Spot, barely out of puppydom, was operated on dentally with many of his teeth removed. His diet of hot dogs, hams, cookies and other rubbish foods was resumed by his owners. We left Spot in March of this year, hoping that his owners would keep up a good protocol of feeding him properly and exercising him adequately. Neither has happened and according to our friend, Spot was not taken for walks. Spot was recently diagnosed with cancer in one of his rear feet…. which has been subsequently amputated. I was heartbroken to hear of this. Basically, his owners have showered him with what they think is love, (harmful chocolate biscuit) treats and all manner of expensive surgical interventions. What they have failed to do, is to provide the basic needs of good health. Food and exercise must always be of the best quality that you can provide. It is worth spending the money for the best food you can afford. Read ingredients and educate yourself on the perils of some human foods that dogs cannot tolerate. I am so saddened by this turn of events for Spot. He is an adorable dog… His people adore him, but the basics of healthcare are neglected, both for themselves and for their little pooch! PS – the dental surgery was as a result of me mentioning to Spot’s people that his teeth looked poor, to have the vet check him and clean them up properly. That is, indeed, a very sad update on Spot’s circumstances. So very sorry to hear that! How on earth does a euthanasia drug end up in pet food? Not hard to guess. Some people will do anything (or turn a blind eye) if there’s money to be made. That’s the problem with the whole world. That KTVN story just compounds the whole ghastly situation. Thank goodness this world of social media and blogging does at least provide a means of highlighting these terrible things so rapidly. Thank you, Margaret! Yet again we have an example of greed not giving a rat’s behind about ethics, morality and other good stuff. When will we wake up to the fact that we need MORE regulation (and yes, therefore bigger government) — not less? Sorry, Colin, slow to respond to your justifiably angry reply. I’m not qualified to say whether more or less regulation is the answer but when this sort of thing happens, and see tomorrow’s post, it certainly shines the light on the need for BETTER government! I agree with you wholeheartedly Pedantry. The more complex a society (technologically, chemically, and even financially) the greater the need for regulations and oversight to ensure safety, security and the broader public interest. ‘Self regulation’ is by its very nature problematic so the regulation must be done by the representatives of the community ie democratically elected government.